TravelManagers’ Jo Patton was announced as the winner of this year’s Avis Travel Agent Scholarship on Tuesday 13 November. The accolade is one of the industry’s most prestigious awards, and Patton’s success is one that has the entire company excited, according to TravelManagers’ Executive General Manager, Michael Gazal. Patton herself says she is still coming to terms with her achievement and what it will mean for her and her business. Gazal says Patton’s achievement is even more significant, given that it was the second consecutive year that the prestigious award has been won by a TravelManagers’ PTM. 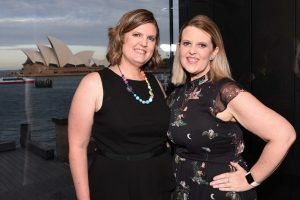 Scholarship Jo Patton & Paula Storm: True sisterly love – Jo (left) pays tribute to her sister Paula Storm, whom she attributes helping achieve her business success. 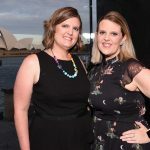 Patton runs her own home-based travel business, offering escorted group tours and cruises with a craft focus, and is TravelManagers’ representative in Ulladulla, NSW. She says she is looking forward to the year ahead as well as the opportunities her win will bring to her and her Crafty Adventures business. “Presenting to the judging panel really took me out of my comfort zone,” says Patton, who nevertheless describes the process one that she believes will be of immense benefit to her, both personally and professionally, in the long term. 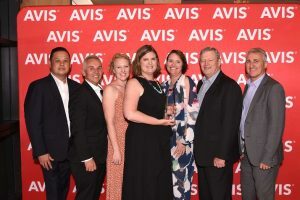 2018 Scholarship Jo Patton & the team: TravelManagers’ national partnership office executive team and 2017 Scholarship winner were on hand to see PTM Jo Patton receive this year’s Avis Travel Agents Scholarship (L-R): Joe Araullo, Grant Campbell, Nakita Byrne, Jo Patton, Julia McLean, Barry Mayo and Michael Gazal.